・You will learn the JLPT level N1 vocabulary through studying its usage in different situations. 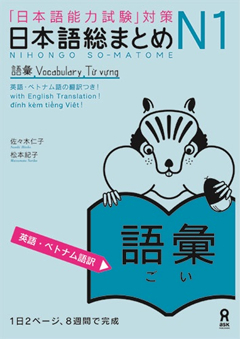 ・It offers efficient ways to learn approximately 1,300 words through the provision of short sentences, clauses, and illustrations. ・You will learn not only vocabulary but reading skills, listening skills and useful everyday expressions.